"Failure Trends in a Large Disk Population". This is Google's extensive study of long-term hard drive reliability. This is a somewhat similar large study conducted by two Carnegie Mellon University (CMU) researchers. It reaches conclusions similar to the Google study, though it did not attempt and failure prediction based upon SMART parameters. 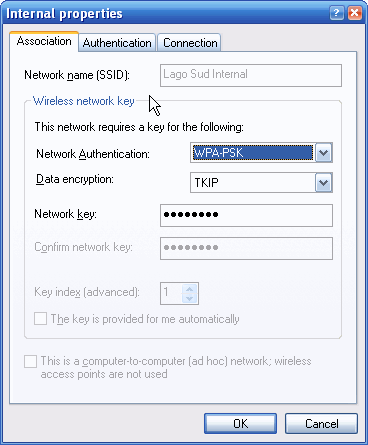 Disabling XP's default connection to AdHoc WiFi nodes. the 'Preferred networks' list above. connection to non-preferred networks is NOT checked. You will now be back at the WiFi Properties dialog. broadcasting for each of your "Preferred networks". its own 'beacon' announcing the names of your preferred networks. installed the important Wireless Client Update for Windows XP. If you see this dialog you SHOULD install the update!